Are thickening products a new trend? 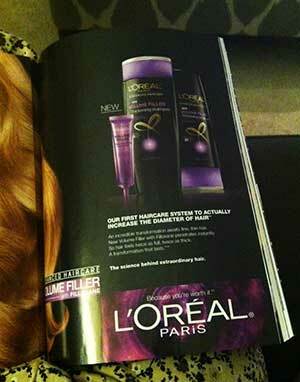 It’s a really bold statement for the company to mention that it will give “Twice” thicker and fuller hair. Reviews from several websites appear to mixed reactions. 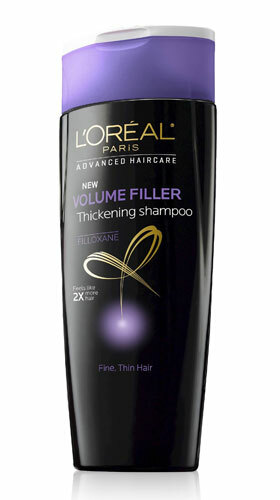 From a price stand point, Volume Filler (especially the shampoo and conditioner) are on the much lower side compared to other hair thickening shampoos such as Nioxin. Have you used this shampoo? Do you think it really gives thicker hair as they claim? Please share your experience below. 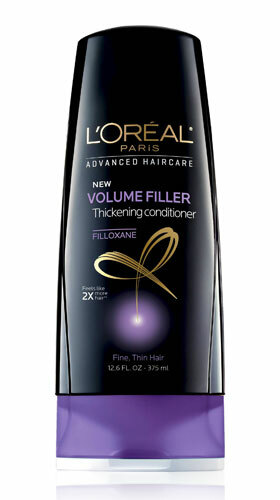 I tried the Volume Filler conditioner and the Volume Filler “densifying gelee” today and I must say I am super impressed. 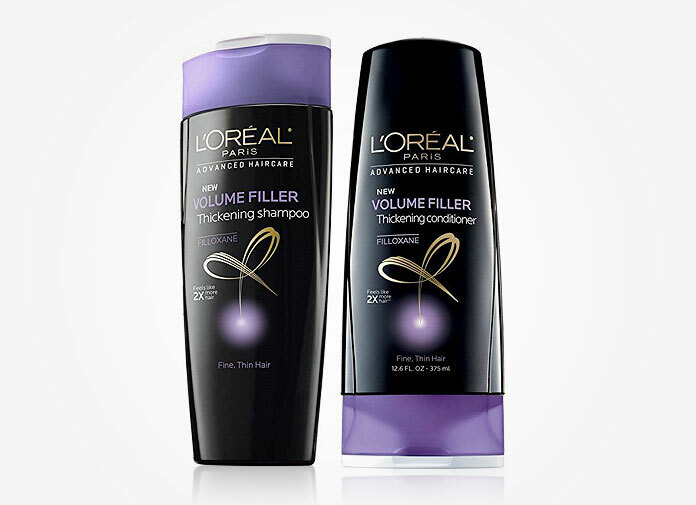 (I already had a new bottle of another brand’s volumizing shampoo, so used that instead of the Loreal Volume Filler shampoo). I have a lot of hair, shoulder length, but it’s very fine and prone to shedding. These products really did make my hair bouncy, full, and thick. It hardly even feels like my hair! I don’t know if it will have any effect on shedding, but as far as hair appearance/performance goes these products are great (at least upon initial trial). Only negative is the very strong fragrance of the densifying gelee – but I am willing to tolerate that if it continued to work this well. Thank you for sharing your story. I am planning to try the Fiber Amplifying Concentrate serum to see how it works for my hair type (I also have thin hair). I think it’s similar to densifying geleee in terms of making hair look fuller. Finding a hair thickener/volumizing product can be tricky sometimes since it doesn’t work for everyone. I tried it in hopes of thickening my hair back to the way it was before coloring it so many years ago…..and I had the same problem. I used to have very long and thick blonde hair past my back and cut it all off when I was 14 and have been dying it since (usually Auburn or burgundy). My hair felt very dry and I didn’t really notice any results, I’ve only used it once though because I’m afraid of it ruining my hair more. I personally like the new Garnier damage eraser products and noticed immediate results, my hair felt amazing and healthy. I also purchased the L’Oréal Thickening Serum with the shampoo but I’m afraid to try it and potentially ruin the progress I’ve made with my hair 🙁 Any positive experiences with that product? Should I give it another try? If you found something that has noticeable results, I think it’s safe to keep using it (there is no magical product that fixes everything). If you start to notice that product isn’t as effective, I would suggest the Nioxin Conditioner. Their conditioner is designed for people with thinning hair and they even have a specific line for color-treated hair. Every time I use it, it gives me a tingling minty sensation and I can see that it increases the volume of my hair. 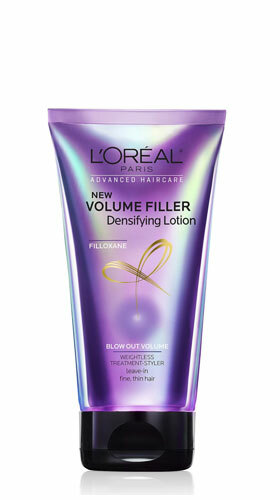 I also have the Garnier Volume Extend conditioner, but I don’t think it does a good job making my hair fuller. For the L’Oreal thickening serum, it looks like people have difference experience with it. I haven’t had a chance to try it out yet, but it’s on my to-buy list. Keep us updated on your progress! I know I should probably stop coloring it all together but if you like me, after so long you’re natural color turns into something horrible and after coloring my hair with reds all these years my natural hair would look like an ashy strawberry blonde…..so no thank you lol Olga has been doing great for me and any other suggestions would be appreciated! I tried the volume filler shampoo and conditioner and the fiber amplifying concentrate, I followed the directions on the bottles did what it said to do, which was after shampooing, use the conditioner with the fiber concentrate and leave it on for one to two minutes, I left it on for about ten minutes while I shaved my legs and pits and lounged a bit in the tub. After rinsing it off I expected my hair to be thicker like the products claim. Unfortunately that didn’t happen and I’m very disappointed in the products. Sorry that this product line didn’t work for you. Are there any other brands that have helped with your hair? Thanks for your honest feedback. If anyone else has similar or different results, please let us know. I tried these products and was really impressed–my hair looked fuller and had a lot of body; however, within a couple of days my face started burning and itching. I ended up with red, scaly patches all over. It was very uncomfortable and took a couple of weeks of no makeup and cortisone cream to finally get back to normal. I threw the products in the trash. There was no warning of side effects on any of the products. Anyone else experience problems like this? Yes, I tried this product a couple of days ago and I had to get a steroid prescription from my doctor because my eyes swelled, and face and scalp started itching . 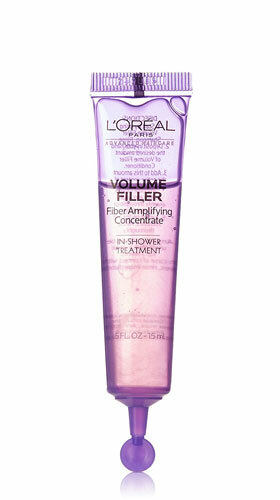 I was really excited to try this product and believed it did make my hair look fuller. After a week of using both the shampoo and conditioner, I broke out in a rash along my neck, chest and upper back. I have long hair and noticed the rash only extends as far as my hair does when wet. I stopped using the product when I finally realized the products were causing it and have been treating it with benadryl cream-hoping it goes away soon. I was excited to try this product, but after a couple of uses I developed a rash all over my neck, chest, and back. At first I didn’t think if could be the shampoo, but after a few more uses it became almost unbearable; I itched constantly. There was almost immediate relief once I stopped using this product. The benefits definitely aren’t worth the side effects. I had an allergic reaction and almost had to inject myself with my Epi Pen. I have a latex allergy and am wondering if the thickening agent is related to latex. I wished they had better allergy warnings. It has been 3 days and I still am having symptoms. I broke out in hives all over for week and a half and I finally realized it was the shampoo and conditioner that had done it. Ive end taking benedryl and had to get a shot and steroids to makes the hives go away. I will no longer be using this product. My skin broke out in little itchy hard lumps that persisted for weeks, like an auto-immune reaction. Definitely not safe! It did have a thickening effect on my hair but serious side effect means I had to stop using it. I used it once. It tangled my hair so bad I couldn’t comb or brush it. I lost a lot of hair due to breaking and falling out.